I mentioned on instagram (@absolutelyarkansas) Saturday that we have now moved on to completing our Guest Room/Office. Moving room by room decorating is the best way in my opinion to finally finish your house. We're coming up on 2 years in our humble abode without much to show for it, so 2015 is the year of the house! 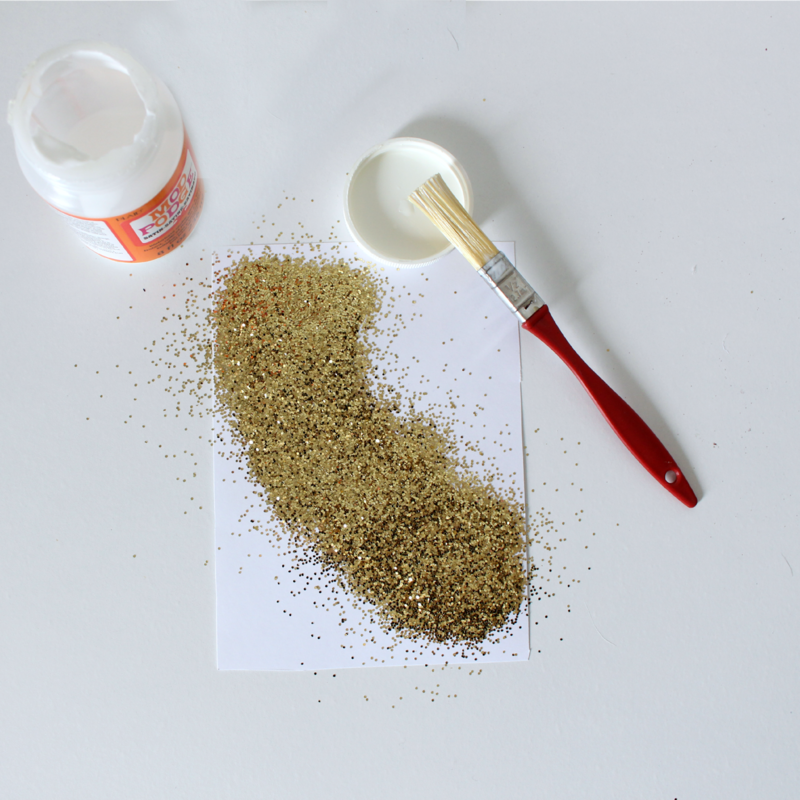 You can seriously do this in no time, probably with supplies you already have in your home. 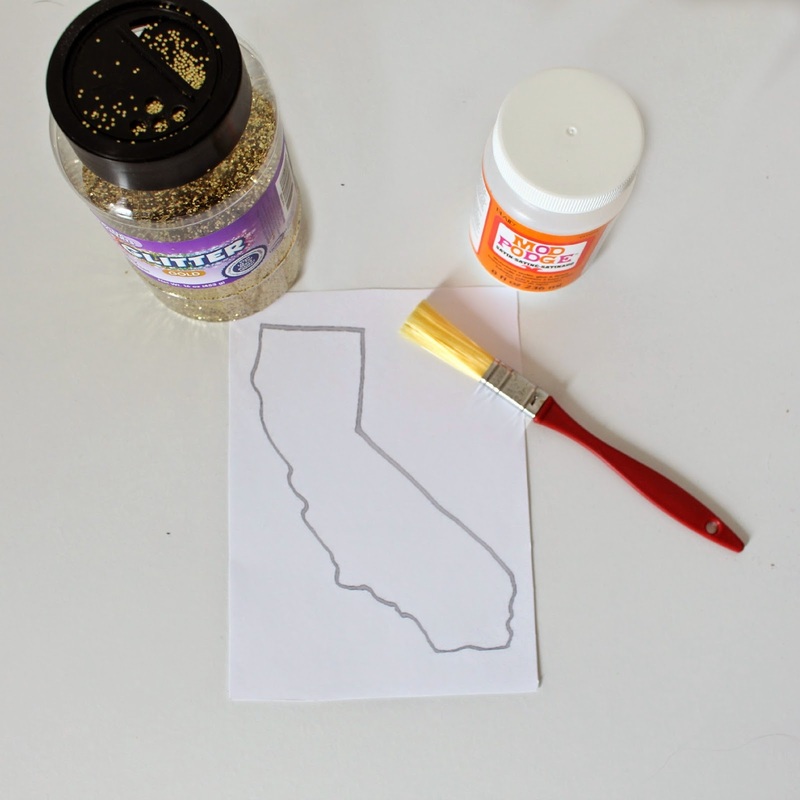 1) Gather supplies, and print out your state. A simple google search for "state outline" should populate lots of options. I cut out a 5x7 piece of cardstock and printed it on that. 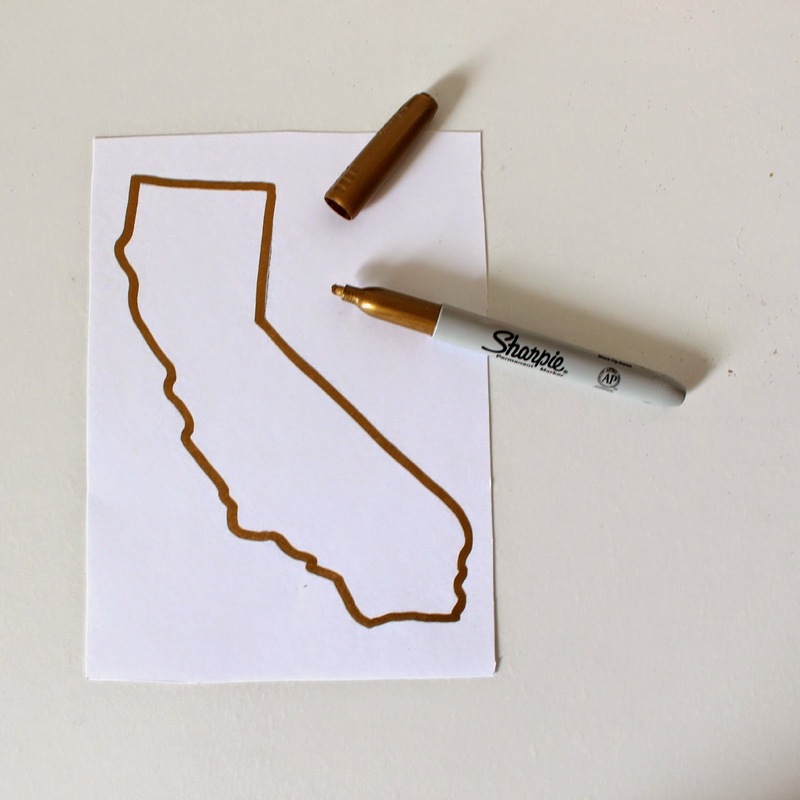 2) Outline your state in a gold sharpee, this helps create sharp lines once you paint on your modge podge and add glitter. 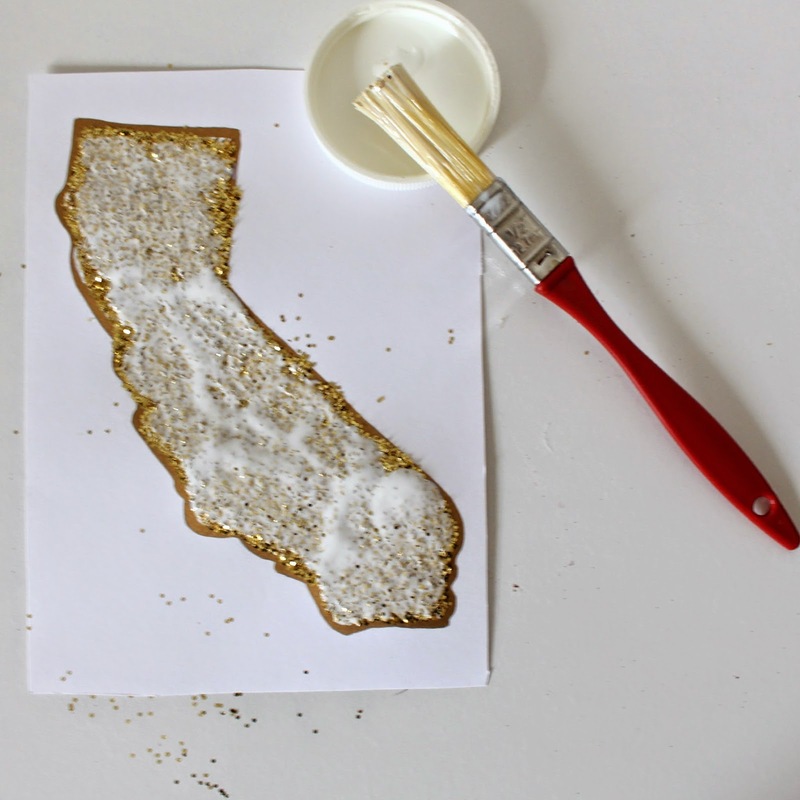 3) Paint a thin layer of modge podge within the lines of your state, and sprinkle on a layer of glitter. 4) Remove the excess glitter, and paint on a very very thin top coat of modge podge. 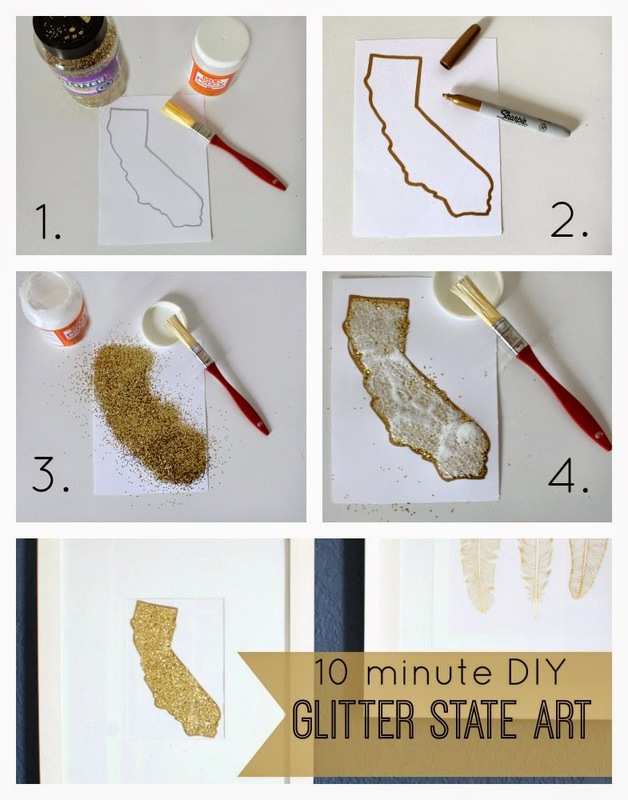 Use a really light hand when doing this to ensure you don't disturb the glitter below. You could wait until the first layer dries if you're nervous about peeling up your glitter, but I just made sure to be extra careful and it turned out fine. Wait for your top layer to completely dry before framing (I just let it hang out overnight, but if you're extra impatient you could take a hairdryer to it) and then frame & hang! Have a great week, gals! Such a cute project! Since we're in Kansas our state would look like a glitter rectangle :) Not too cute. Love this DIY! I'll have to give it a try! Thanks, Kylie! Easy as can be, i'd love to see you try it out! This is such a great idea Kylie! I made something similar last year, but I used my cricut and cut out michigan onto glitter paper. I never would have thought to do it this way, you are so creative! I love the gold. And s that navy walls I spot?? So simple, chic, & freaking sparkly!! I love easy projects like this. It spices up the room without taking up all your time. 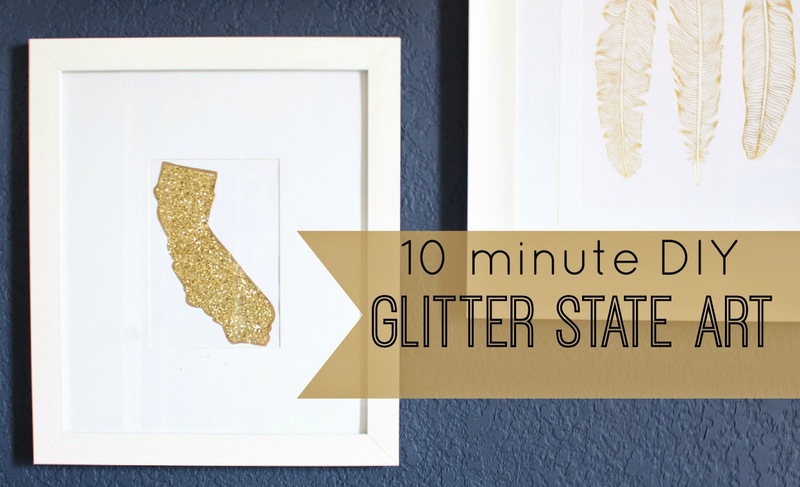 I love anything that sparkles that takes less than 20 minutes to complete! I hope you can give it a try. Thanks for coming by, Carmen! So simple and pretty! I might be making some of these as little gifts in the future! Thanks, Mary Leigh! I hope you do! What a cute gift this would make for girlfriends, and so simple too! Love this! I'd been thinking about making something similar! 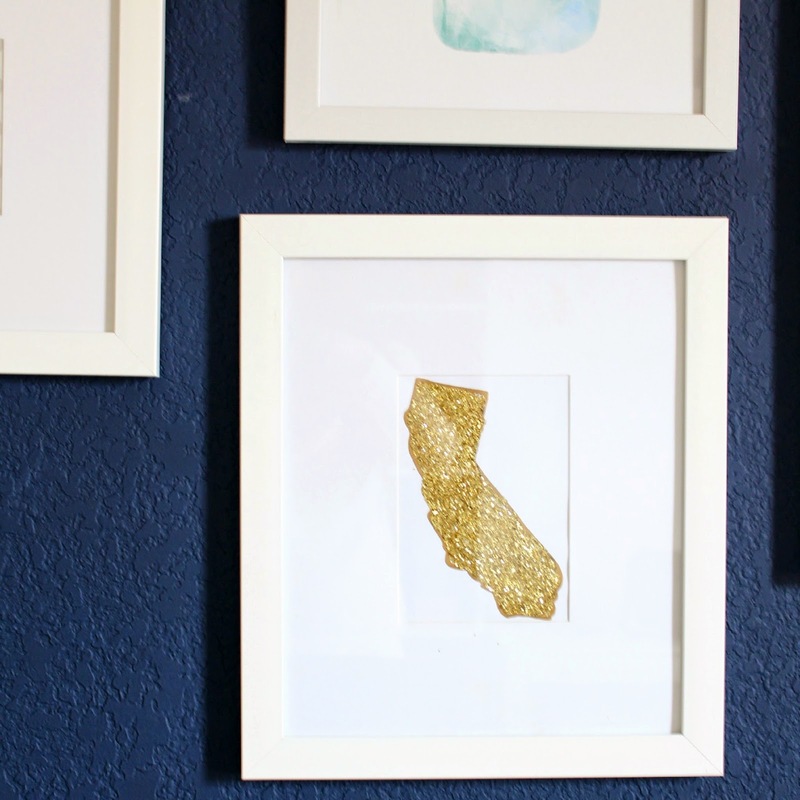 Cheap and easy projects are the bomb! When's the next time you guys will get to visit Cali again?? Hey cute gal! I need to make a sparkly Arkansas to complete the wall :) We'll be back in April for our best friends wedding! I can't wait to feel the sunshine. Hope you had a great weekend! Thank you pretty mama! No need to spend tons on Etsy, you can totally do it yourself, probably with crafty items you've got in your home! Hope you had a great weekend! Thanks pretty lady! It's my favorite print on my gallery wall. For some reason it said link not valid for the jcrew giveaway. Is it still going on? Hey again! So sorry, but it was only valid the day of the post going live. You reminded me to remove that part though! Hope you had a great weekend!